I was sitting in the Tasting Room when I realized that Bell’s was next on the Webster’s Prime beer list. I had already consumed the first nine bottles on the list (Arbor/ Arcadia/ Atwater) and I just wasn’t as excited to drink down those upcoming six Bell’s! Maybe it’s because Arcadia has recently painted a picture of Bell’s with their statements and posters alluding to the fact that Bell’s no longer brews in Kalamazoo. Maybe it was because Bell’s is so available to me, being that I am a Kalamazoo resident, maybe I’m just to satiated to Bell’s because it’s right here, right around the block. I think I was taking Bell’s for granted in that moment and that I have been taking them for granted over the past few months. There recently was a large poster hanging in the Old Burdicks window downtown that read: Arcadia Brewing Co. Truly Local. I passed by it every day on my way home, and every time I saw it, it just kind of rubbed me the wrong way. It painted a picture in my head that Bell’s was sort of a “sellout” for opening up a production facility in Galesburg. Kind of like when I was younger and my friends would say things like, “Oh, that band was so cool when I saw them in that sweet underground bar, now they are just sellouts.” I was childlike then, and I had that young mentality and ignorance. Now days I believe that you should not be dispirited towards a band, brewery, or anything else for that matter, just because they have become successful. I needed to shake this thought from my head, and I was lucky enough in recent times to have Bell’s and Arcadia both breathe new knowledge and inspiration into me. A bunch of us from Zazios, Webster’s, and Burdicks recently visited Arcadia and had a wonderful experience. Jenny Parker from Imperial Beverage, and Steve Marcial an Arcadia Representative, were kind enough to plan a team outing for us. Arcadia was set with delicious food and beer for us to try, and Tim Surprise, founder of Arcadia personally took us on an Arcadia tour! I couldn’t believe it, it was truly awesome. We had a great time, so a big thank you to them. I even tried another Arcadia’s Sky High Rye. It is a West-Coast style, pale ale, which I recently wrote about in a past blog. I tore it apart in my last review, but I have to admit that I really enjoyed it the second time around; perhaps because it was on draft this time? We also had the opportunity to recently tour the Bell’s facility, another great experience. Thank you to Chelsea Lassen and Gary Nicholas for a wonderful afternoon spent with Bell’s. They gave us a tour of the awesome new brewing facility in Galesburg, and by no means should anyone think of this place as a sellout. I had to kick myself at even once having this thought because so much of what Bell’s represents is Kalamazoo. The facility was truly a neat place to see, and I recommend that you take a free guided tour as soon as possible. Guided tours are offered most Saturdays at 12:30 p.m., 2 p.m. and 3:30 p.m, all you have to do is show up and someone will be there to show you around. Bell’s also treated us to lunch and a couple brews, and we were lucky enough to attend Gary’s Sensory Awareness of Beer class. I’ve been to classes like this before, but with wine. It was really cool to flip a switch and think about the sensory process while drinking a beer. Gary reminded us that people will always drink with their eyes first. This is why sediment and flakes in a beer can turn someone off right away. There can also be beer bias because of the color and body of the beer. I’m guilty of this because when I see a dark beer, I think that it is going to be chewy, heavy in chocolate or molasses flavor, and maybe even to filling for me. There are three basic flavor groups, Trigeminal sensations, tongue / taste-bud sensations, and aromatics. The Trigeminal nerve is a nerve that is responsible for sensation in the face and the mouth. It notices things like pain, touch, and temperature. The carbonation, temperature, viscosity (mouth feel), and astringency (the tannic sensation), are all factors that affect your Trigeminal nerve while drinking. Bell’s puts a lot of focus on aromas; they believe that aromas are the real show. Bottles can take away that aroma part, I never thought about that before. When drinking out of a bottle or a can you could be getting a different aroma from that beer. Moral to the story, you should pour your beer into a glass while consuming it, to really appreciate and enjoy that beer’s aroma. I also learned about over stimulation, fatigue, and saturation that can occur when drinking beer over time. This can happen with a lot of things, but again, I never thought about it when it came to beer. Your sensory detectors will become over stimulated and what you may have once enjoyed you no longer do. Let’s say you started drinking Bell’s at age 21 and started with Bell’s Oberon. Then you moved through their beers as you grew older, onto their Pale Ale and then Hopslam, and then you went back and had an Oberon at age 25. The Oberon may not taste like you remember it to taste. You may think to yourself that this beer no longer gives you any excitement whatsoever. It is because your body is now saturated from that taste and that you are now looking for something more. These are the times that you appreciate that “starter beer” for what it is, and appreciate that you have grown as a beer consumer. One last tip that I would like to share, is that you should start with the least bitter beer first and make your way up to the most bitter. Hops will stick around on your tongue for about 20 minutes and this will really effect the taste of your next beer. I never knew that, and that could be why I disliked the Arcadia’s Sky High Rye the first time that I had it. I had just finished the Arcadia Hopmouth, so maybe there was some funky things going on inside my mouth. This may seem obvious, but you should also start lightest to darkest when trying beers. I hope I didn’t ramble on to much in this blog, I didn’t even get a chance to mention how awesome the six Bell’s beers that I consumed really were. I’m really glad that I was able to rediscover my love for Bell’s and all that it stands for in this community. In my next blog I will explore Bell’s Amber Ale, Best Brown Ale, Oarsman Ale, Winter White Ale, Two Hearted Ale, and Kalamazoo Stout. Lastly, I want to give a big thanks to all of the breweries out there who have been so kind in inviting the GHG restaurants to their properties. The level of education we are receiving is impeccable, and we couldn’t be more appreciative. This beer list challenge has really opened my eyes to so much more than I could have hoped for or even conceived four months ago. The last of the leaves have been raked from yards, and scraped off of the roads in my neighborhood today. Outdoor furniture that used to occupy lawns is now filling in the garage, and the “bride-to-be” has finally convinced me to turn on our rambunctious furnace. 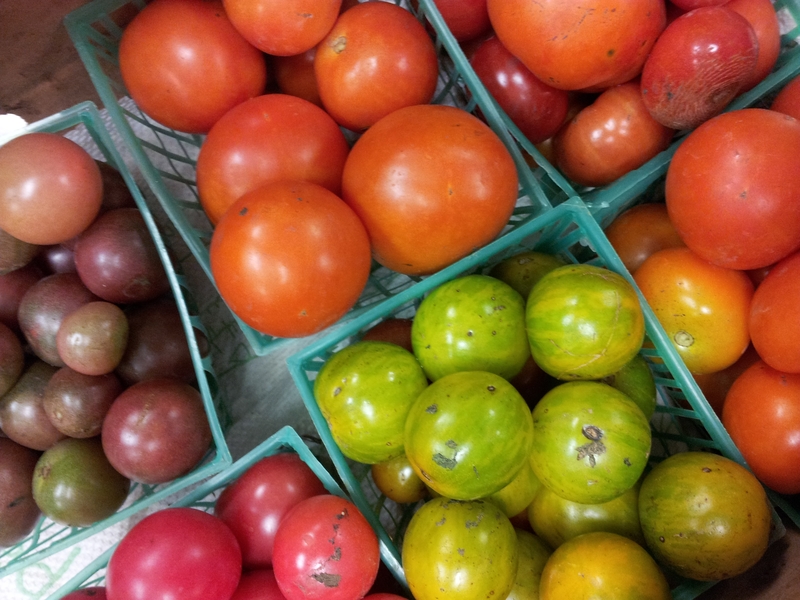 I think it’s time for me to admit winter is basically here, but that doesn’t mean I can’t source beautiful, local produce and meats throughout these frigid months. Last winter I became familiar with two of the markets that are open until nearly spring. The Bank St. Market reopens in the bingo hall across the street from the original one. You can find Dave Warkentien of Young Earth Farms there. He will always greet you with a smile and a firm handshake, selling his delicious pork and beef products among other things like eggs or occasionally Michigan whitefish. The smoked pork chops are to die for, and our restaurant can’t get enough of his beautiful pork belly. Blue Dog Greens, of Bangor, will also be there this winter. 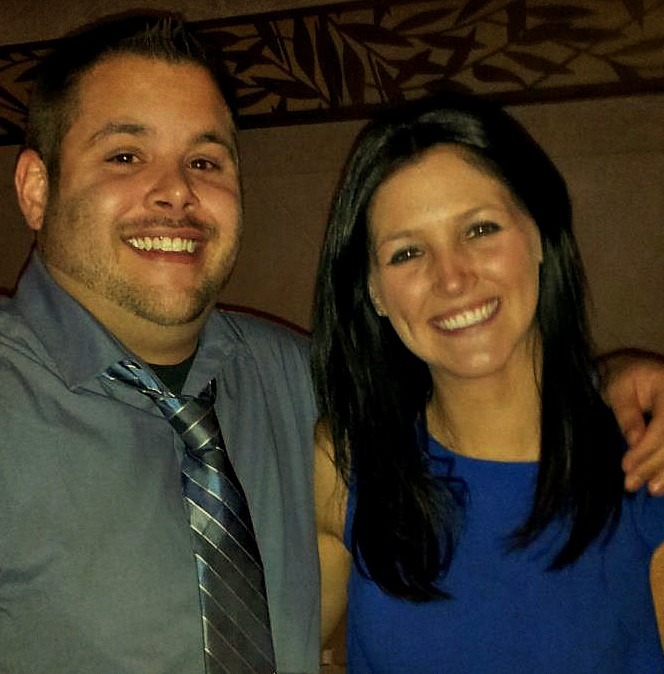 I personally will be very excited to see what Dennis and Shawna have to bring to the table this winter. These are just two of the many vendors here. The market will open on November 24, and run from 8 a.m. until 1 p.m. There is also the smaller, but not inferior, market on the corner of Burdick and Crosstown. The impressive Visser Farms fills a stand here throughout the winter. 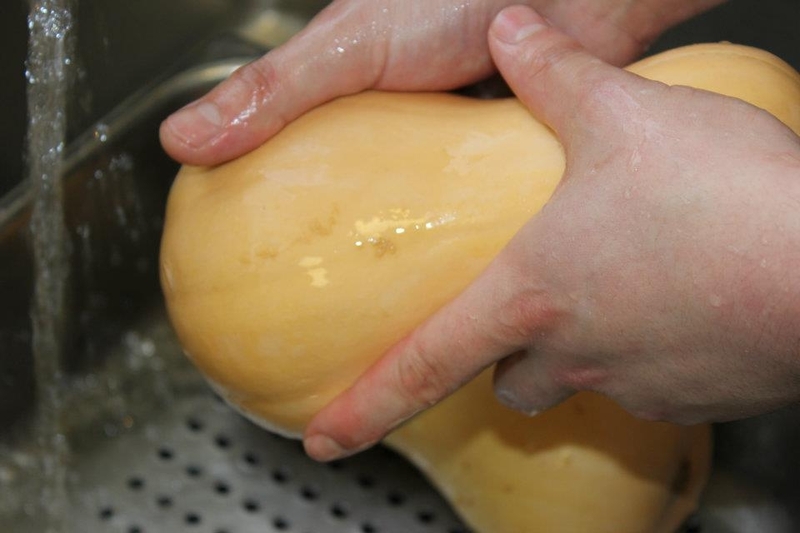 Mitch brings a plentiful variety of squash, root vegetables and many other things all winter long. Green Gardens of Battle Creek also posts up here. Trent grows food with the most finesse I’ve ever seen. He will have beautiful radishes, root vegetables and other intricate and stunning produce, possibly even his salad mixes or arugula from his greenhouses. There are usually five or more additional vendors selling food here also. They are open every Saturday, from 9 a.m. to 1 p.m., November 24 through May 5, at 1156 S. Burdick. 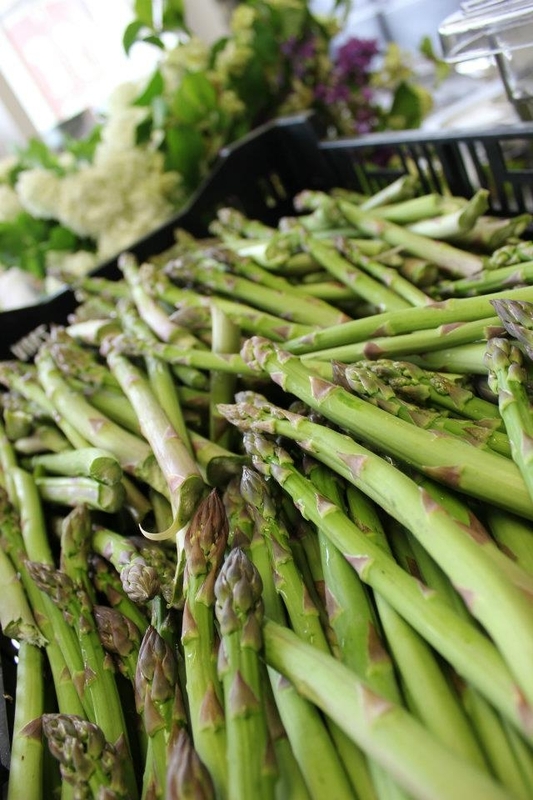 Don’t let the frost hold you back from eating seasonally, as some of my favorite produce starts to show up now. 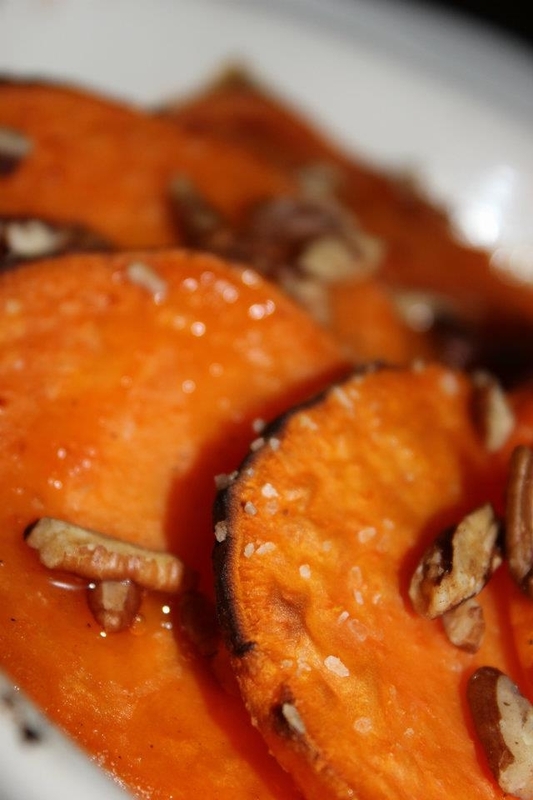 I know that it can get old using parsnips or butternut squash all winter, just keep in mind that there are several interesting and delicious ways to utilize all winter ingredients. Check back soon and I will have tips and recipes for keeping it local during the winter, starting with the worthwhile turnip. This week I dove into the Atwater beers on our list. Atwater D-Light, Atwater Michigan Lager, and Atwater Vanilla Java Porter, all beers that I would recommend trying. Atwater is a brewery located in the Rivertown district in Detroit, MI. The brewery was founded in 1997 and they produce wonderful German style lagers. All of their equipment was shipped in from Germany and has been in use for over 200 years! They use malt and hops from Germany for all of their lagers; however, they use American hops for all of their ales. 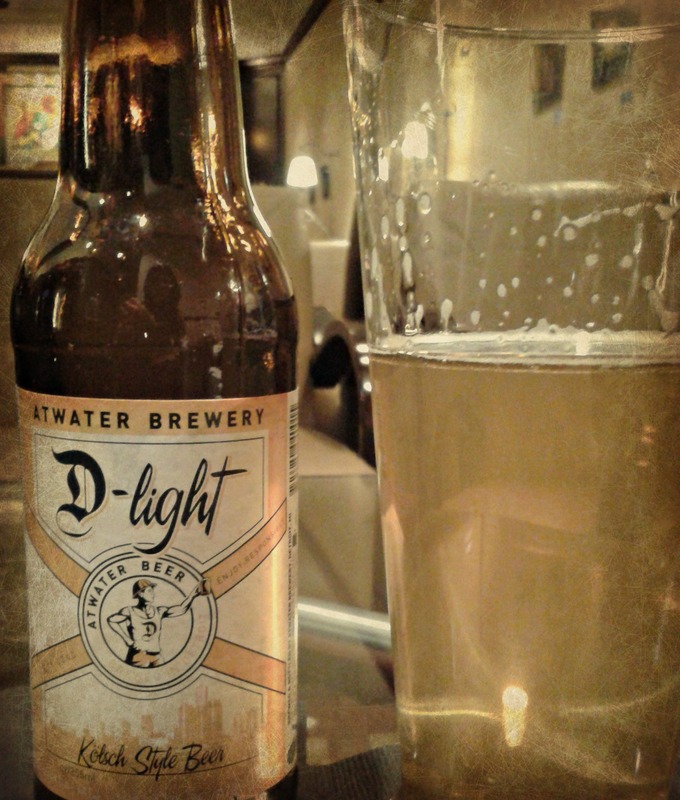 Atwater D-Light is a Kölsch style beer. An American Kölsch is light, delicate, and a refreshing type of ale. In most cases it is less aggressive than a pilsner, lighter hops and extremely crisp. This beer was indeed light on my palate, reminded me of an American pilsner, and a little sour on the finish, but not over powering in the sour taste. It was really easy to drink, slight carbonation, and golden honey in color. It is crisp and clean, and a great starter beer for those who aren’t really into drinking beer. 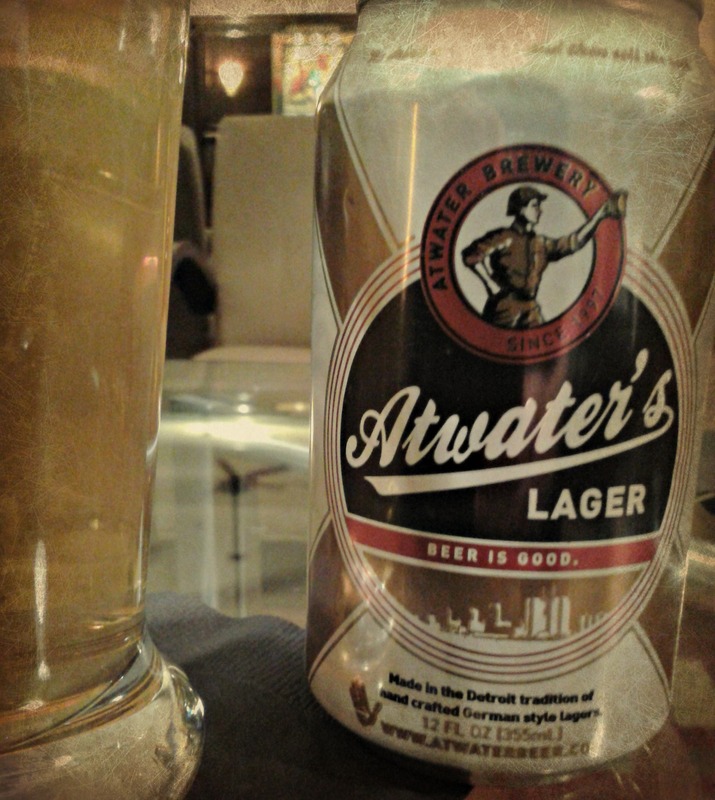 Atwater Michigan Lager was exceptionally delicious! Webster’s is slinging this one in a can, I love it. This beer is a tradition of a hand crafted German style lager, on the palate you almost get a sweet flavor in the beginning, then it settles out, to a nice and light wheat finish. Cloudier than the D-Light, but again golden honey in color. SO GOOD! It is a Munich-style Helles Lager, which makes it a bit malty, but “Helles” is German for light. I really liked this lager, it was well balanced, and a little more my style than the D-Light. 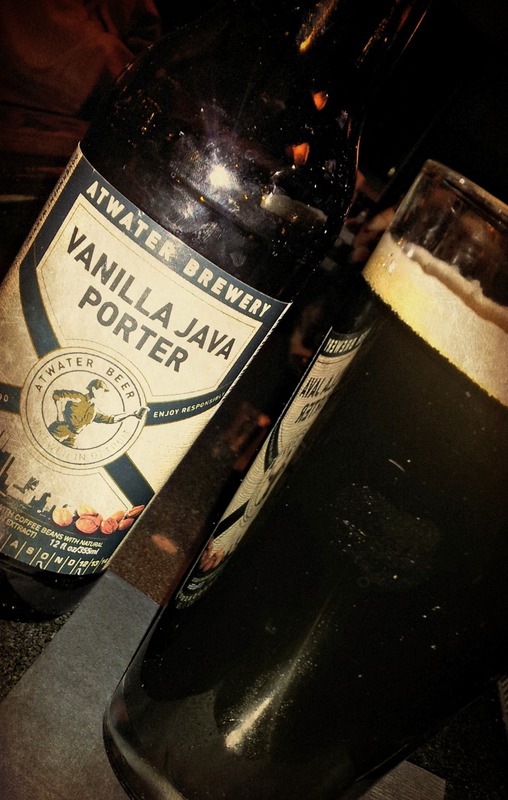 Atwater Vanilla Java was a great little porter, one of my boyfriend’s favorites. It is a chocolate malt beverage, brewed with fine-roasted coffee beans and added natural flavor of vanilla bean extract. It is very dark in color like coffee, and I liked that it had so much vanilla essence; the chocolate does not over power or come forward to much. It was revitalizing because I typically get chocolate in a lot of these stouts and porters. It isn’t too sweet but it is well balanced between the malt and the vanilla. Overall, it is a unique American Porter, and I recommend trying it out if you are looking for something sweeter, or to get your vanilla fix on. Webster’s Prime Tasting Room will soon be launching its new winter drink menu…if you’re not into the beers, please stop in to check out the amazing new cocktail list. Featuring traditional, and classic cocktails, like the French 75 and the original Side Car. A new wine list, bar, and dinner menu soon to come as well! Did you know that the Tasting Room offers both the regular dinner menu and its own bar menu, which features sandwiches and appetizers? The Tasting Room also has live entertainment on Wednesday and Friday evenings. This Wednesday, November 14th, Steve Kamerling and Barry Ross 7:30-10:00pm, and Friday, November 16th, The Hired Hands Band 8:30-11:30pm. Maybe I’ll see you there! The temperature is dropping. Winds feel more brisk, day by day. Leaves are scarce, and snow and ice are well on their way. This time of year brings snow shoveling, winterizing the house and those famous Michigan road conditions. Don’t get me wrong, I adore Christmas songs, winter sports and Thanksgiving turkey, but something else has been on my mind. The Kalamazoo Farmer’s Market on Bank St. is closing for the season soon. Instead of dwelling on this, I choose to relish the remaining days of this place, filled with wonderful people and the beautiful things they create. I first stepped foot in this market on a rainy day during the spring of last year, meeting my chef to pick out food for the restaurant. I had been to other markets before, but on a different child-like agenda. He walked me around and introduced me to several farmers, while pointing interesting things out along the way. 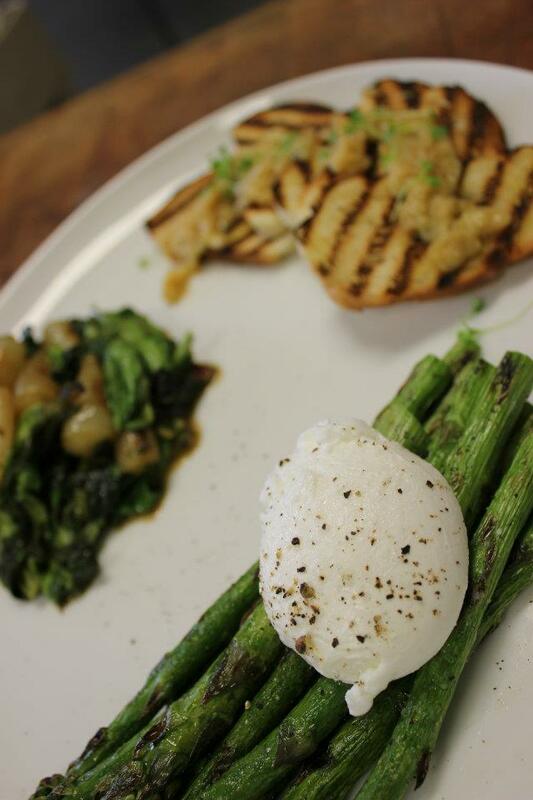 I saw the abundance of asparagus and the first morel mushrooms appearing. I fell in love with Michigan ramps. These farmers were interesting people, with unique food. The rain-clouds couldn’t shadow over that morning. I have barely missed a Saturday there ever since. So I was quickly swindled, but material love comes easy anyways. 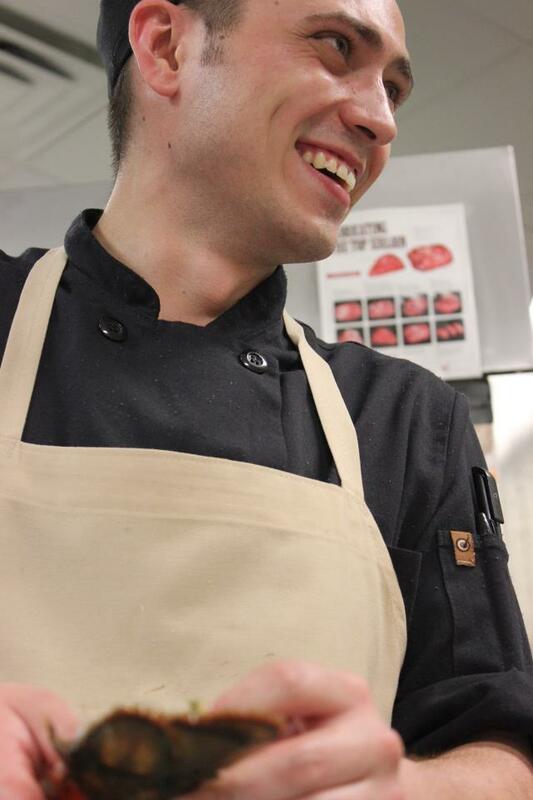 I am a young cook, eager to learn and hungry for inspiration. Every stand had something new and exciting I had never seen before; I was hooked from the start. Then I started tasting the food. 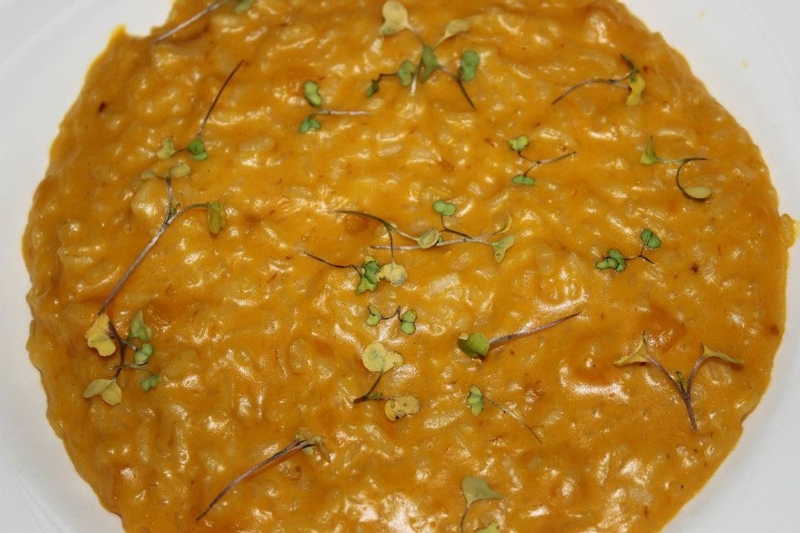 It was a culinary affair with every ingredient I had ever used. The flavor was more vibrant. The freshness was unmatched. Even the aesthetics were beautiful and unique. 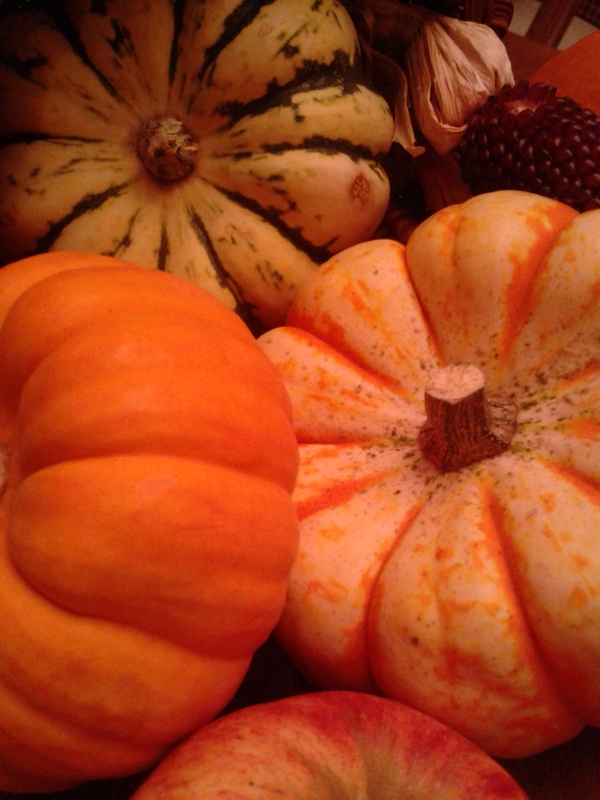 The separate ingredients correlated in a seasonal harmony, bringing a special awareness of the earth with them. I noticed how the food had a shelf life twice as long and how much more affordable it was than the grocery store. I was officially in love. As I got to know the market better, I got to know the farmers encompassed within. I’ve become acquainted with some of the friendliest, honest and hard-working people I have ever met. Like Pat Smith-Kirklin of Kirklin Gardens, an eccentric and majestic woman who grows the most delicious heirloom tomatoes and has even convinced me to take home a cat. Among several other types of produce and aromatics, she is also known to grow some of the most intricate and gorgeous flowers in the area. Gary Otto, a cheerful man who always has a smile and the best tasting chicken I have ever had. If you haven’t tried Otto’s chicken, let it redefine poultry for you. There is also Dennis and Shawna from Blue Dog Greens. With a happy baby strapped to his back, Dennis sells the most perfect and peppery arugula. I could write this entire blog about all the farmers I have gotten to know. I felt the sense of family and community almost instantly, which apart from flavor makes the food amazing. I’m not trying to completely divorce from the grocery store. I am guilty of utilizing the convenience, even though the product comes from who knows where and when. I just choose to eat locally and seasonally as much as I possibly can. It keeps more money in the community. It keeps our soil fertile. It tastes better. If you haven’t made your way to the Kalamazoo Farmer’s Market, go and fall for it yourself.